A fine mixture of colours. Spooky, I love seeing shots of kites. What a great pic - the variety of hsapes and colours makes it really interesting. there is a kite festival. I will join this again next year. 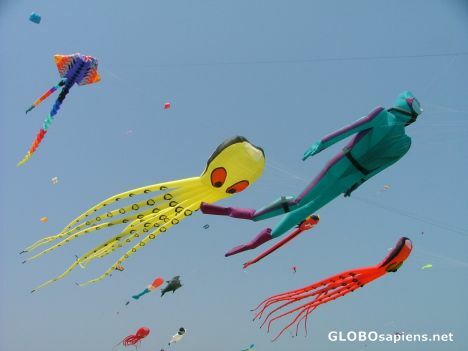 I'm so intrested in these kites , nice and colorful .